It’s no secret; I always look forward to my western trips, ergo the name of his website. I’ve been fortunate enough to see many wondrous things thanks to my friends the Campbell’s. Even though I’ve seen several awesome areas in and around Utah, I’m not above expanding the exploration into other states, and that’s why a jaunt into Nevada seemed like a perfectly good idea. 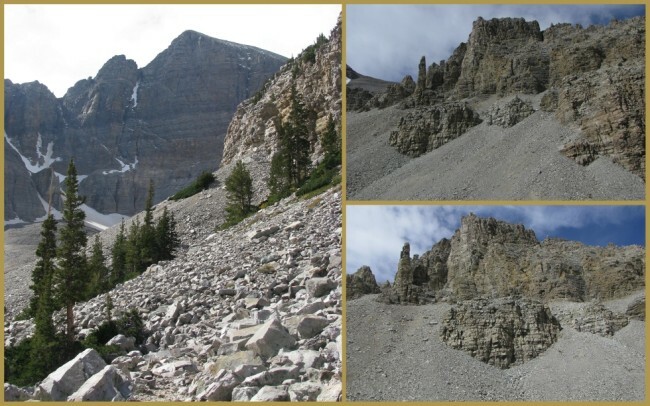 As I’d skipped a trip the previous year Jeff and I were more than a little anxious to head into the unknown, Great Basin National Park seemed like the perfect destination, only a half-day drive away from my friends’ home. 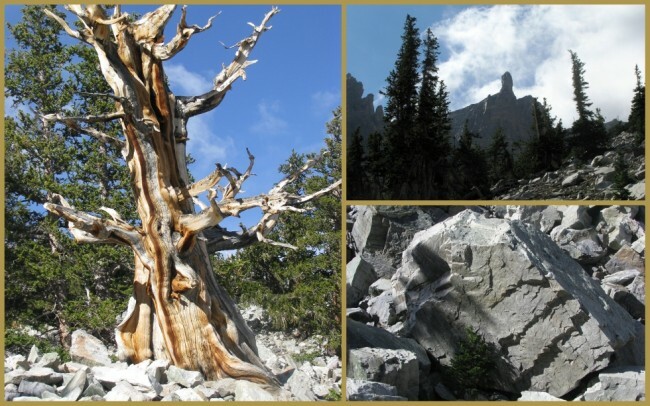 The park’s literature says it best, Great Basin hosts “mountains in a sea of sagebrush”. As you drive west from the Salt Lake City Area you’re traversing an incredibly beautiful desert environment with tremendous scenery along the way. One could easily fill up multiple memory cards (or rolls of film if you’re still non-digital) on this commute. Various mountain ranges flank the highway; the high-desert seems to go forever in all directions and along the way you’ll pass through remnants of once-great mining towns. As we rolled into the park I was surprised at how unassuming the Great Basin Visitor Center (one of two in the park) area was, a bit of parking with a small innocuous building awaiting our entry. Inside you’ll find multiple displays telling you about the geologic, biological and cultural history of the area. Interesting fact, these exhibits were purchased by the GBNP Foundation, a non-profit organization that helps “fill in the gaps” in the park’s needs, very cool. 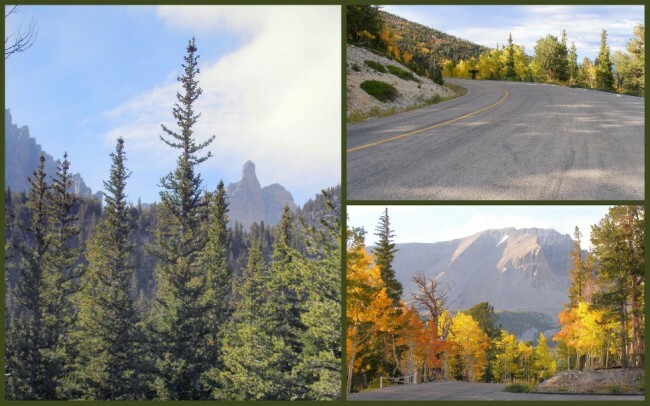 Jeff and I had already decided to stay at the Wheeler Peak campground, mostly for it’s proximity to the mountain. We had planned to try to summit Wheeler, but the day we arrived a snowfall event occurred, effectively “socking in” the peak. At 13,063 feet above sea level, the hike for me at least was already “iffy” based on altitude and distance (8.2 miles round trip) so we elected not to give it a try, maybe on another trip. 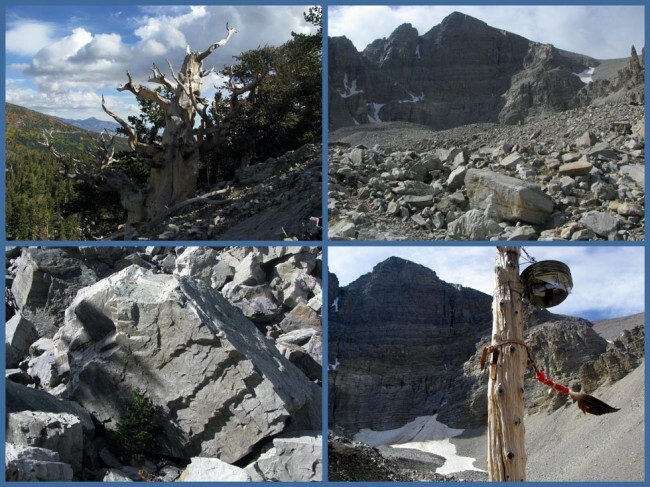 Having reconciled ourselves to the fact that Wheeler Peak wasn’t going to happen this trip, we headed out on the morning we broke camp to Plan #2 which was the Bristlecone & Glacier (yes, you read that right, a glacier) Trail. Our jaunt started out on a very wind, somewhat chilly autumn morning, with the aspens ablaze with color amidst the ever-present conifers. This is an awesome hike for any avid outdoors person for a ton of reasons. 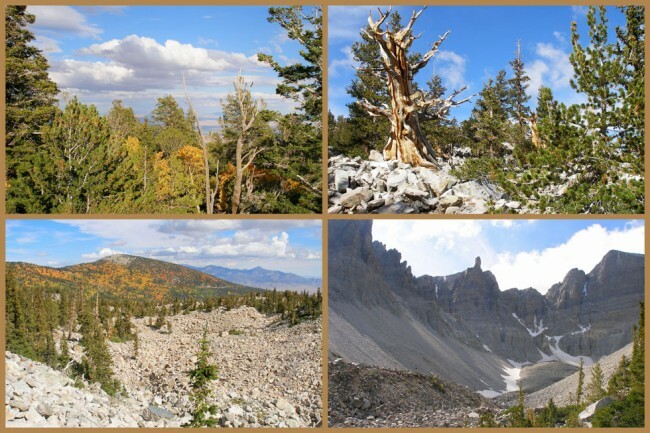 The scenery is breathtaking (not altitude related, even though it starts out at 9,800 feet) by any measure, beautiful vistas, incredible rock fields and as a caveat, a wonderful grove of Bristlecone Pines, considered the oldest living organism on Earth. I know how the regular visitors to Western-Traveler keep hearing about “world class” this or that, but I’m at a loss for words to find a better way to describe these wondrous sites, sorry about that. Great Basin also boasts one other interesting draw, the fact that it has the clearest night sky in the United States due to its distance from any major city. I’ll vouch for that one too. While camping, you could easily see the Milky Way as clearly as possible. 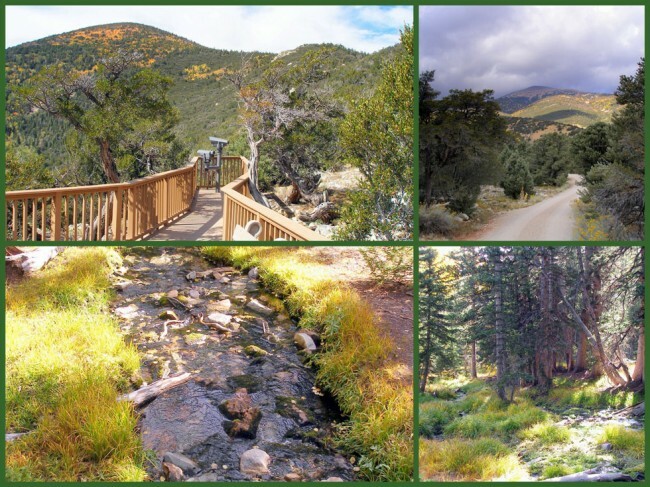 If you decide to visit Great Basin, and why wouldn’t you? here’s a few important informational things to know. First, though there are several campgrounds in the park,Wheeler Peak is the nicest. It had potable water, well-kept vault toilets and a design that allows for quite a bit of privacy at each site, very nice. Second, if you need anything, the only town nearby is Baker, Nevada. Don’t start driving into Great Basin without adequate fuel, could turn into a problem pretty quickly. Lastly, make sure to have small bills ($1 & $5) with you to pay for your campsite. Somehow this very important fact had escaped Jeff and me, creating a last-minute, coin scraping-up hassle for us before heading out.